If you’re in need of an auto gas repairing service in Adelaide, PR Automotive Mechanical Repair Centre can help! When it comes to LPG car repairs, we offer an environment friendly, hassle free LPG servicing for any vehicle. Like your regular vehicle service, LPG fuelled cars should also keep to a service routine in order to maintain the vehicle, while preventing any future issues. Over time LPG system components can wear out, therefore it is a good idea to have specific elements checked over thoroughly by an PR Automotive Mechanical Repair Centre expert. At PR Automotive Mechanical Repair Centre, we specialise in LPG vehicle repairs whether you own a diesel or petrol car. Plus, we can even combine your LPG service with your regular vehicle servicing and repairs, keeping to your service schedule and making the process even easier. We offer quick and efficient LPG auto gas servicing and repairs, undergone by our experienced team, at a competitive cost. Our LPG accredited technicians mean you can be sure you’re receiving expert advice and the highest quality service. Here at PR Automotive Mechanical Repair Centre, we can offer guidance on fuel consumption along with budgets according to your vehicle requirement. LPG stands for liquefied petroleum gas. This hydrocarbon fuel consists primarily of butane and propane. You may have heard LPG referred to as Auto gas as well. Australia has large reserves of LPG. Estimates indicate that the country has enough LPG to meet national demand for many years. Those who convert their vehicle to run on LPG have two options: dual fuel conversion or LPG only. Dualfuel vehicles run on both petroland LPG. In essence, dual fuel vehicles have two fuel tanks and the driver can switch which tank supplies power to the vehicle. As you probably guessed, LPG-only vehicles cannot run on petrol. Instead, the vehicle runs exclusively on LPG. Drivers of either car type can fill up their LPG tanks at Australia's more than 3,500 LPG filling stations. Percapita, Australia has more LPG stations than any other country and many stations are in rural areas. This means you can drive all around Australia using LPG alone. What Are the Advantages of LPG? You gain several benefits when you convert your car to LPG. The list below describes the biggest advantages. A litre of LPG costs less than what a litre of petrol costs. So, for example, if you pay about 136 cents per litre for petrol in your area, you can expect to pay about 75 cents per litre for LPG on average. LPG has a smaller price in part because the fuel taxes are lower. Keep in mind that you will probably have to buy more litres of LPG than you do petrol. This reduces your savings somewhat, but you will still pay less for fuel overall. LPG creates less residue while it passes through your engine. This leaves your spark plugs, combustion chamber and other engine parts cleaner, and may extend your engine's life. Your car may also use oil more efficiently. However, you should still have your oil replaced on schedule. If you choose a dual fuel LPG conversion, you can drive your car much longer distances without refuelling. Many drivers of dual fuel cars notice that they can drive almost twice as many kilometres because they have two full fuel tanks instead of just one. Although LPG vehicles have many advantages, they also come with a few downsides. Learn about the most important disadvantages below. Some drivers avoid converting to LPG because it costs a few thousand dollars to install the tank and prepare the engine to run a different fuel type. Overtime, your fuel savings earn you back the money you invested to switch to LPG, but the initial cost can be daunting. Depending on what car model you drive, you may lose some boot space to the LPG tank. The automotive technicians may have to move your spare tyre as well to accommodate the cylinder. 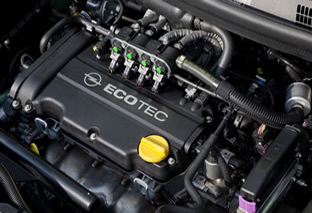 Most engines run cleaner with LPG, but they also may accelerate slightly slower. An engine designed for petrol compromises on power to run on LPG. However, the small power difference may be barely noticeable in some car models. Should You Covert Your Car to LPG? Now that you know the basics of LPG conversions, calculate how much money you can save on fuel with a car that runs on this alternative fuel. Consult an automotive technician who handles LPG conversions for more information.